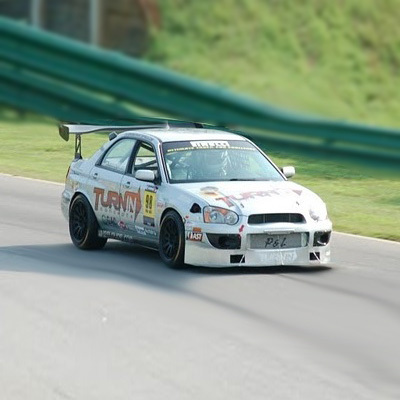 This range of Kelford high performance camshafts is to suit Subaru EJ25 engine (2004 - current) equipped with Subaru’s awesome AVCS (Active Valve Control System) on the intake cams only. 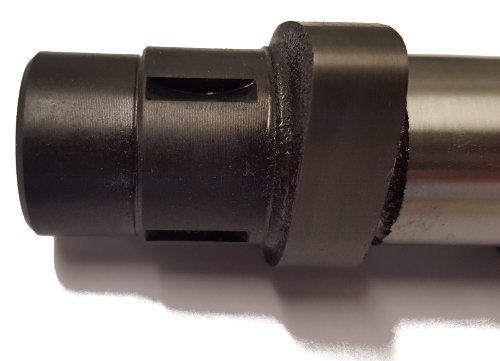 In addition to our catalogue range, we can manufacture custom cams to your specifications, or design a profile to suit your specific application. Please note that the correct valve spring selection will depend on the installed height in your particular cylinder heads. Please contact us to discuss the correct valve spring selection. These cams are easily identified by the triggers on the rear of the intake cams which will be machined to have three ‘keyway / slot’ style triggers. If your engine has the three protruding 'paddle-wheel' style triggers, you need to see our EJ20 range with the V2-199 part numbers. 256&252/260 Degrees advertised duration. 9.55mm&9.55mm/9.50mm lift. 264&260/260 Degrees advertised duration. 10.70mm&10.20mm/10.20mm lift. 272&268/268 Degrees advertised duration. 11.30mm&10.50mm/10.50mm lift. 282&278/278 Degrees advertised duration. 11.50mm&11.00mm/11.00mm lift. 292&288/294 Degrees advertised duration. 11.00mm&11.00mm/11.00mm lift. 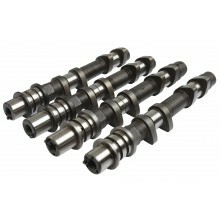 Custom camshafts for Subaru EJ25 WRX STi with AVCS (2004 - Current) engines.